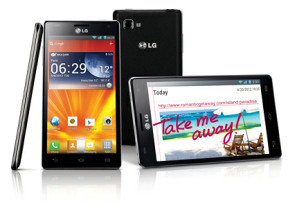 Last year LG was in pole position in the dual-core game with the Optimus 2X. It was the phone everyone looked up to, before there was a Galaxy S II and before there was an HTC Sensation. There was obviously no rush this time although, to be fair, LG did announce their forthcoming flagship well on time. 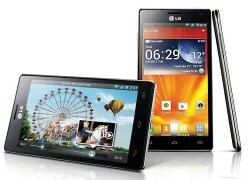 The Optimus 4X HD was among the headliners at the MWC in February, right next to the HTC One X. Back then, the Samsung Galaxy S3 was but a distant rumor. In the end, LG were beaten to market by their closest rivals. A bit beyond fashionably late to the quad-core party, you can bet it doesn't want to miss out on the action. Its name is on the guest list and, if things like 4X and HD don't get them in the VIP lounge, we don't know what will. There's more to the Optimus 4X HD though than multiple CPU cores and a 720p screen. LG may be late but not behind. They made sure that, at least specs-wise, their quad-core flagship matches the competition. The Optimus 4X HD is Tegra-powered just like its dual-core predecessor. It's the Tegra 3 platform this time around, adding two more cores to do the heavy lifting and an extra one to discretely handle the low-key computing. Unlike last year's Optimus 2X, which was behind the curve on Android 2.2 Froyo, the LG 4X HD has Android ICS 4.0.3 right out of the box and the custom Optimus launcher is doing its best to offer both visual and functional improvements. LG has pulled all the stops out to design a phone that can hold up against the heaviest competition imaginable. The screen resolution and processing power are the minimum requirements for entry into the elite club. It's from then on that the contenders are trying to make a difference. It's now LG's turn to present their credentials to the discriminating user. Ready to be impressed once again?